Safeguarding children and young people is an absolute priority at our school. We have a Safeguarding Policy which is reviewed annually. Staff and governors are required to access appropriate training from the LA’s accredited trainer and this is updated regularly. We participate in the LA’s annual Safeguarding Audit. 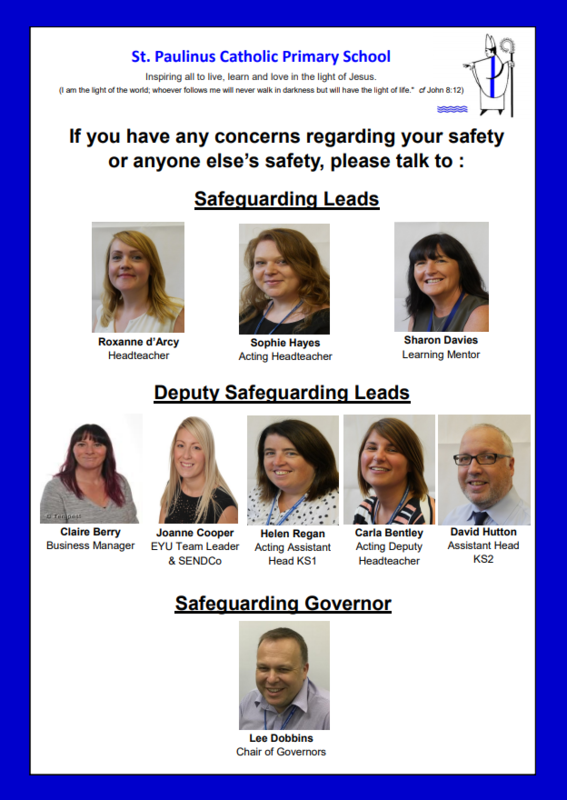 There are Designated Senior Leads (DSL), Deputy Safeguarding Leads and a Nominated Governor for safeguarding.